Club Penguin Herbert makes his come back! Hi. Today the music video of the Ghost Just Want To Dance came out. Here is the video! Did you see Herbert? He was one of the first things in the video. Here is a pic. Now you can see he has a bag that has the sun with a X through it! But when the penguins went into the house the power went out! Just like in the Party Starts Now! Is EPFs Operation Blackout on its way? But CP but a sneak peek of whats coming next month. Here is the pic. This will come next month! 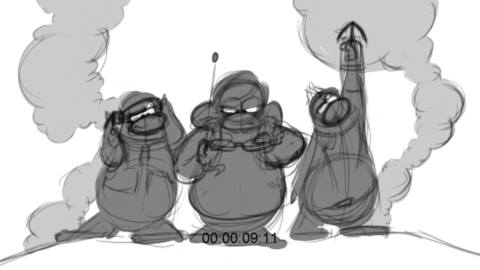 It looks like the EPF. I hope you like this sneak peek bye. 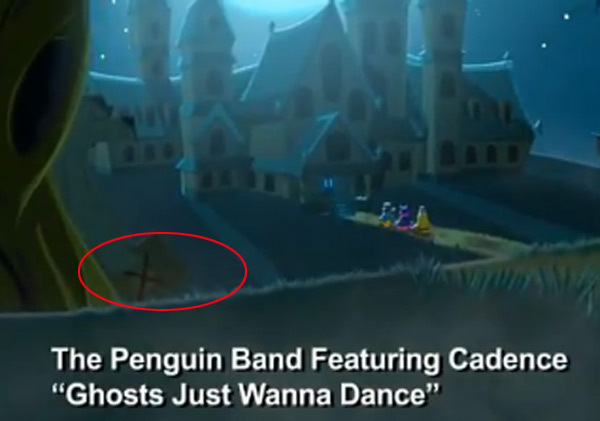 Do you think the penguins that went in the house are part of the EPF? Then Herbert could have trapped the penguins in and started operation blackout? I want to know if you think Operation Blackout is coming, so please vote on the poll.